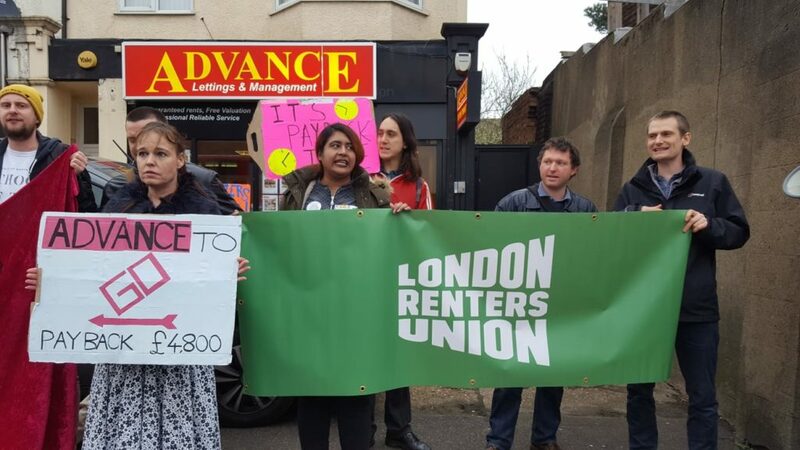 LRU members met with Advance Glenisters (formerly Advance Estates) on Monday to negotiate repayment for fellow member Mary, as part of an ongoing campaign challenging the discrimination faced by recipients of housing benefits. Following the meeting, the union has agreed to pause the campaign against the company until the weekend, when Advance agreed to make a clear repayment offer for some of the debts Mary incurred to pay the costs they demanded of her last year. Advance took £4800 from Mary as a precondition of renting to her in March 2018. Mary never moved into the flat and has been unable to get any of the money she paid returned to her for over a year. While we recognise the ways the wider housing system discriminates against those in receipt of benefits, we also believe it is the responsibility of each of the players profiting from this system to be accountable to those affected. This includes letting agents like Advance Glenisters. 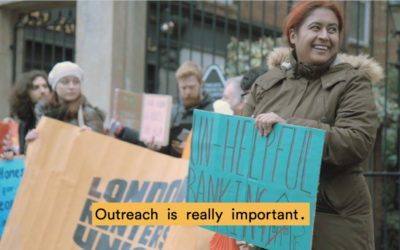 We ask all of our members to put any publicity, media, protest and online disruption activities on hold as an act of good faith until the weekend, by which time we hope Advance will have chosen to do the right thing and made Mary a fair offer for the rent she was pressured to pay, for a flat she never lived in.